Superstar Rajinikanth’s New movie is tentatively titled Darbar. 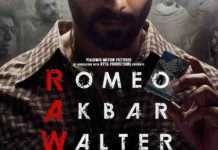 The project is being helmed by AR Murugadoss, who is collaborating with Rajinikanth for the first time in his career. Actress Nayanthara is playing the female lead in the film. This will be Nayanthara’s third film with the superstar Rajinikanth after Chandramukhi and Kuselan. 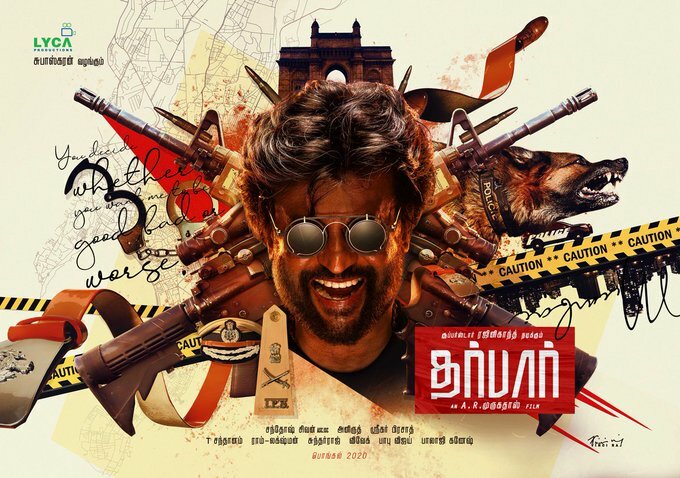 Rajinikanth Darbar First Look Poster takes the centrestage as insignia from a cop’s uniform including a belt and a shoulder badge surround him. A police dog, several guns and the Gateway of India (located in Mumbai) also appear on the Rajinikanth Darbar First Look Poster. The filmmakers have not shared too many details about the project, which was earlier called Thalaivar 167. The Darbar film is being bankrolled by Lyca Productions. The production house also handled the finances of Rajinikanth’s science-fiction and action flick 2.0, a Shankar directorial which released last year. Lyca Productions entered the film business with Murugadoss’ 2014 film Kaththi.